I wrote a similar blog post about this back in 2013, but I figured it was time for a little update! I was looking at old photos recently and realized just how much longer my hair used to be. I feel like I’ve hit a bit of a plateau with my current length and it’s time to get back on the vitamin and supplement wagon to grow it back out and work on getting it healthier. Everything from stress, age, nutrition, hormonal changes, environment, and styling can impact the health of your hair, so I guess it’s normal to notice some changes over time. PS: Cheryl (my eyebrow lady!) also recommends Viviscal to stimulate eyebrow growth! PPS: I’m a tad bit nervous about taking it again since I’m currently doing laser hair removal on my arms, legs, bikini, and underarms, but I guess I’ll be the guinea pig here. My thoughts on the issue… I’ve got quite a few months left with laser, so I might as well re-stimulate the hair follicles in my head while I’m still getting treatments. We’ll see! I made a note to ask my laser tech when I’m back in there in early May. Biotin // I’ve taken Biotin on and off over the last few years, but between my travel schedule and running out of my gummies, I probably haven’t taken it in the last year. Time to start back up! When my hair was in my prime, I was taking 5,000 mcg per day. (There’s also a 10,000 mcg option nowadays!) 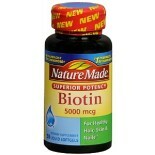 Biotin is great for growing and strengthening both your hair and nails! And for any of my fellow pill-haters, there are also Biotin gummies! Just re-ordered a new bottle. Collagen // Now this is one thing I have not been slacking on! I add a scoop of Vital Proteins collagen peptides to my coffee in the morning, or in my smoothie if I’m getting coffee out. (I love the Vanilla flavor in my smoothies!) Keeping up with my collagen intake when I’m traveling is super easy with these single-serve sticks… I always pack them on trips! Collagen is great for your joints, tendons, ligaments, skin, hair, and nails. It’s said to be the fountain of youth from the inside out! And just an FYI: Collagen is protein. So a flavored collagen powder is a great option for protein in your smoothies! Vital Proteins has actually added a ton of different flavors and products in the last year since I started using it. Collagen Creamer, Collagen Matcha, Mixed Berry and Dark Chocolate & Blackberry Collagen. This post has my everyday smoothie recipe in it! A few more smoothie recipes here and my morning routine post here! 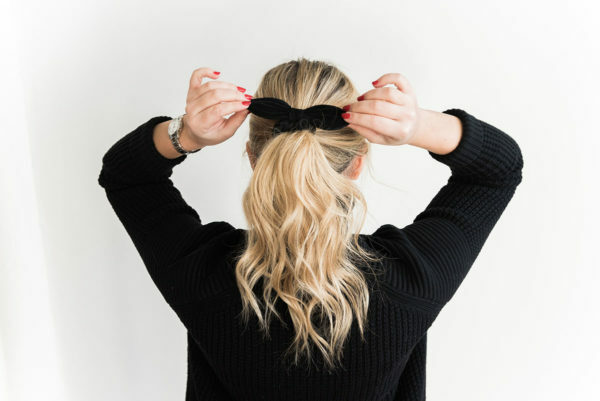 And on the hair front, you can find some of my healthy hair tips here and a tutorial for my loose waves here! Biotin and collagen are everything! I love the Vital Proteins collagen peptide. I have definitely seen changes in my hair and nails. Definitely going to start incorporating all of these into my routine!